This year’s Lipscomb basketball team may be one of the most talented the school has ever assembled. They just won’t be remembered by their Belmont performances. Although senior Nathan Moran had a chance to win it with a fadeaway three as the clock expired, the Bruins played like the better team for most of what became a 76-74 Belmont victory at the Curb Event Center Tuesday night. This one hurts a bit more because it came less than three weeks after an 87-83 home loss to the Bruins on Nov. 15. The Bisons are now 6-2, with both defeats at the hands of their archrival. 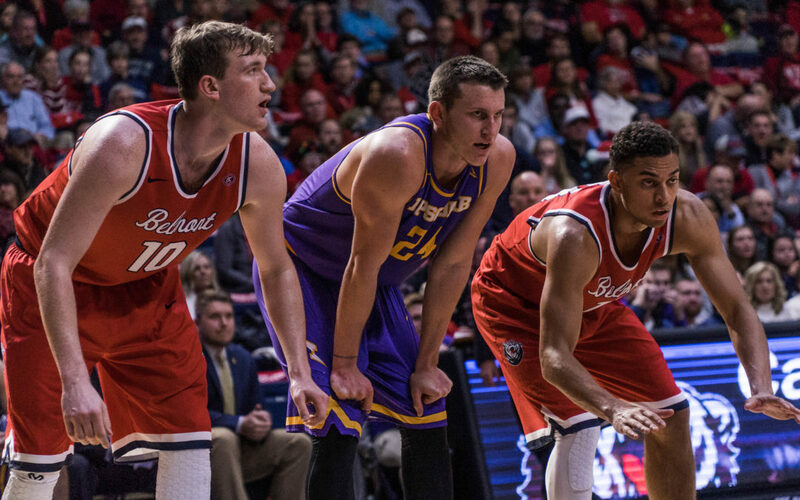 Lipscomb also missed out on two opportunities for quality wins because Belmont (7-1) appears to be primed for a stellar year and possibly an OVC title. But these losses won’t define Lipscomb’s season. In fact, the very opposite is true. Short of a near-perfect season, the Bisons won’t be in consideration for an at-large bid to the NCAA tournament. They must win the ASUN tournament title or they’ll be heading to the NIT, CIT or watching March basketball from home, regardless of how the rest of the regular season goes. That’s because the ASUN is simply too weak of a conference. Only four of the nine ASUN teams are currently in the top 250 of the NCAA’s new NET ranking system. Lipscomb’s strength of schedule will diminish as it enters ASUN play, and its chances for quality wins will be minimal. But Tuesday’s Battle of the Boulevard wasn’t all bad. Lipscomb didn’t play its best basketball yet still managed to give the Bruins all they could handle. Lipscomb forward Rob Marberry came to play. He was the go-to man on what seemed like nearly every possession, and he piled up a team-high 26 points. And that was despite being matched up with Belmont freshman Nick Muszynski, who had a three-inch height advantage over Marberry. Moran scored 10 points and showed glimpses of the player he was two seasons ago, before hip injuries derailed his 2017-18 campaign entirely. And Lipscomb managed to stay in the game despite an off night from leading scorer Garrison Mathews, who was limited to just five points on 2-of-6 shooting. That was his lowest output since he was held to three points against NJIT on Feb. 1, 2016. The two Belmont losses show that, while the Bisons are talented, they are not invincible. And that’s an important lesson to learn early in the season, especially for fans that were calling for Lipscomb to be ranked (even if half jokingly) after their upset victory over No. 18 TCU last month. Games with much bigger implications loom on the horizon, including a home-and-home battle with Liberty over a two-week period in late January and early February. The Flames are off to a 7-2 start and came in at No. 40 in this week’s NET rankings. NJIT (8-2) and North Florida (4-5) are also possible conference contenders. The best news for the Bisons? Belmont left the ASUN in 2011 and won’t have a chance to spoil Lipscomb’s season in March.